Since the announcement that Robinson Cano would be suspended 80 games for testing positive for furosemide, there has been a flurry of confusion and misunderstanding regarding Major League Baseball’s Joint Drug Agreement (JDA). A quick search of Twitter reveals a number of people asking, “Furosemide? My <insert family member here> takes furosemide! How can it be a banned substance?” and “How is furosemide a performance enhancer? It’s a diuretic!” and “There are approved substances, why didn’t he take one of those?” We can address a few of these questions by taking a closer look at what furosemide and other diuretics do and why they show up in the JDA. In his statement following the suspension, Cano claimed he took a diuretic under the supervision of a licensed doctor in the Dominican Republic as part of treatment for an undisclosed medical condition, and was unaware at the time that the medication was on the banned substances list. It’s possible Cano has (or had) a medical condition that required the use of a diuretic. We know his 2015 season was marred by a number of health issues, including a nagging stomach ailment. So what purpose would a diuretic serve? The word diuretic merely describes an effect the compound has. Diuretics can be used for treating a variety of conditions. While heart failure, edema, and hypertension are the most common, acetazolamide, also known as Diamox, is often used for the treatment of altitude sickness and glaucoma. Diuretics for the treatment of hypertension are pretty common. They’re often administered in combination with another medication, sometimes even another diuretic having a different mechanism of action. So it’s not unreasonable to think someone who is being treated for high blood pressure could be receiving a prohibited substance in the form of a diuretic. If Cano has a medical condition, he’s right to seek treatment from a doctor. But diuretics also can conceal the use of substances, and that’s where Cano’s trouble starts. The JDA establishes MLB’s protocol for drug testing as well as its list of prohibited substances, many of which are also banned by the World Anti-Doping Agency. It’s important to note that not all prohibited substances are labeled as performance enhancing substances (and not all so-called performance enhancing substances actually improve performance, but that’s a story for another day). In fact, the list of prohibited substances is broken into five groups: drugs of abuse, performance enhancing substances, stimulants, DHEA, and diuretics and masking agents. Diuretics and masking agents are grouped together because they serve to hinder the detection of the other four categories of prohibited substances. It’s important to note that “diuretic” and “masking agent” are just terms to describe what the compound does, not how it’s actually working. You can have two masking agents or diuretics that have entirely different chemical structures and may not even have the same mechanism of action. But they generally serve the same purpose in the World Anti-Doping Agency’s eyes by “masking” the detection of prohibited substances. Diuretics generally have been prohibited from use in sports since 1988, long before the JDA was conceived. The diuretics listed in the category may operate in different ways, but the end result is the same: They force the body to expel fluid by increasing urinary output. To put it bluntly, they make you pee more. This is why they’re found in some weight loss aids. It can be an attractive feature for professional athletes, whose bodies and weight are under constant scrutiny. However, the primary rationale for including diuretics in the list of prohibited substances is their propensity for interfering with detection of other prohibited substances. By increasing the amount of water in your urine, you reduce the concentration of the other compounds, such as a performance-enhancing substance and its metabolites. When laboratories test for prohibited substances, they are looking for the prohibited substance itself, as well as its metabolites. Metabolites are the chemical compounds formed by the body through the process of metabolism to facilitate removal from the body. Some masking agents interfere with the metabolism of other prohibited substances, thereby changing the metabolite signature of the player’s urine or concealing a metabolite of the prohibited substance. Masking agents include plasma expanders, but diuretics, such as furosemide and probenecid, make up the bulk of the category. You probably have some awareness of this effect. Think of how your urine looks first thing in the morning (or after a night of drinking adult beverages), compared to what it looks like when you’ve been drinking a lot of water and are well hydrated — except you’re probably not trying to intentionally dilute your urine to evade the detection of other substances that aren’t supposed to be there. There are a number of diuretics on the list of prohibited substances, but according to WADA, furosemide is the second most frequently detected diuretic. A quick look at physiology and the pharmacokinetics of furosemide can provide some insight into the popularity of furosemide among doping athletes. Furosemide (4-chloro-N-furfuryl-5-sulfamoyl-anthranilic acid), sometimes referred to as frusemide, first came into use in the 1960s and still is prescribed today, usually under the brand name Lasix. It can be used for treating certain cardiovascular conditions and renal disorders, including hypertension (high blood pressure) and edema (fluid accumulation). Furosemide is a loop diuretic that exerts its effects in the nephrons of the kidneys. It blocks sodium, potassium, and chloride reabsorption in the thick ascending limb of the loop of Henle in the kidneys. The kidneys then release more of these salts into your urine. This results in a change in osmotic pressure in order to excrete these salts, leading to an increase in excretion of water via your blood, hence having to urinate more frequently. After administration of furosemide, renal vasodilation occurs, renal vascular resistance decreases, and renal blood flow is enhanced. Reduced peripheral vascular resistance also occurs, which is thought to benefit patients with congestive heart failure. Even though other hypertension drugs may operate in a different way, they generally have the same result of reducing vascular resistance, which is how they lower blood pressure. So if there are other hypertension medications out there, why would someone take furosemide? Furosemide is a particularly effective water pill: Within three hours after taking furosemide, the body can expel up to two liters of water, and loop diuretics can increase urinary excretion 30 fold. It acts very quickly; furosemide can be administered orally or intravenously, with diuresis occurring around 30 minutes after oral dosing, but as soon as five minutes after intravenous administration. The half life is 30-60 minutes, and the diuretic effects can last for six to eight hours. The quick onset of action is matched with a relatively quick removal: 50-80 percent of the primary compound is excreted in the urine within 24 hours of administration, with the remainder of the drug eliminated by other means, such as through the feces. The bioavailability of furosemide is poor, which means it’s not very well absorbed by the body, so in a urinalysis test, there will be a lot of the original, unchanged compound. Furosemide or its metabolites are detectable in urine for up to 67 hours after administration, which is a relatively short time. Between the rapid effect and the relatively short detection period of furosemide, one could envision a scenario in which a player could take furosemide if he thinks he might be taking a urinalysis test soon. Although an intravenous injection of furosemide in a locker room is highly unlikely to occur, it has been demonstrated that someone can ingest a tablet of furosemide and expect results within 30 minutes. While the quick onset of action of furosemide is appealing, both from a medical and a doping perspective, it isn’t something you would want to take long term. Diuretics are associated with a number of side effects of varying severity: dehydration, electrolyte imbalance, renal and cardiac side effects, hypotension, and thrombosis. There are plenty of other medications that can treat chronic hypertension as effectively with less risk of toxicity. That’s the science of diuretics, and their uses and potential misuses. So how do they relate to baseball and Cano? Let’s turn back to the use of diuretics as it pertains to the MLB Joint Drug Agreement. We have a general idea of how the testing for prohibited substances is conducted. Urinalysis tests are administered at random times both during the season and during the offseason. A player is presumed innocent until proven otherwise, and an initial positive test will not be made known to the public. Players who test positive for a diuretic aren’t automatically suspended unless the league can demonstrate it was used as a masking agent, and are given a chance to appeal, so there’s often a lag between the positive test and the announcement of a suspension. That last line is tricky: “… if the IPA determines that the Player intended to avoid detection of his use of another Prohibited Substance.” How do you prove a played intended to mask the use of another substance? It makes the process more complicated than it is for a positive test for a performance enhancing substance. 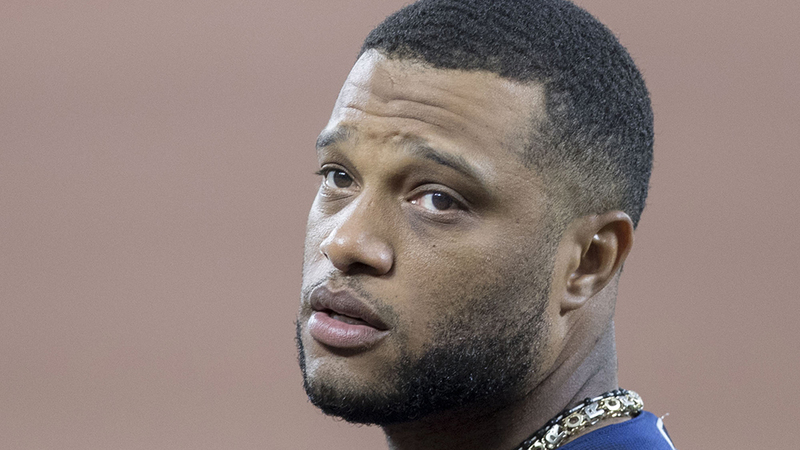 As we’ve noted, it is possible Cano was actually taking two diuretics, or furosemide in combination with another medication, and that he had a real medical need. The JDA recognizes that many prohibited substances serve a medical purpose. But we would expect a player in that circumstance to apply for what is known as a Therapeutic Use Exemption (TUE). A TUE allows a player to take a drug on the prohibited substances list, given a “medically appropriate prescription provided by a duly licensed physician.” Simply put, a doctor would need to establish that a player has a documented medical need for the prohibited substance. A player or his doctor would inform the IPA of the prescription as soon as it is issued, and the TUE would be reviewed and approved or denied within three weeks. The JDA outlines the process in great detail, particularly the role of the IPA and the MLB Medical Advisory Panel in approving TUEs, and authorizes the IPA and Medical Advisory Panel to obtain additional information and diagnostic tests, if necessary. 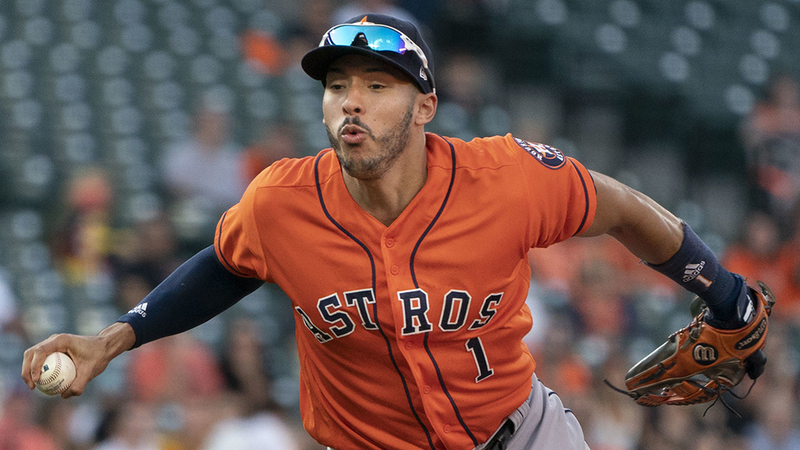 It may be a hassle, but with a TUE in place, a player can receive proper treatment for a chronic condition requiring treatment with a drug from the prohibited substance list. Not only would the player be spared the embarrassment of testing positive for a prohibited substance, he would also avoid the public’s prying eyes. That Cano did not avail himself of this process leaves us to suspect a legitimate therapeutic use of furosemide either did not exist or couldn’t be proven, and that the absence of a TUE may have made up part of the IPA’s determination that Cano intended to use the drug as a masking agent, as well as Cano’s eventual decision to drop his appeal. There are often questions that arise when MLB announces a suspension due to a positive test for a prohibited substance. However, a positive test for a prohibited substance that is also a commonly used medication requires a slightly more nuanced consideration. Unlike some of the prohibited performance-enhancing substances, furosemide is a drug that wouldn’t arouse suspicion if your doctor handed you a prescription. Your local pharmacy has mechanisms in place to warn of potential drug interactions and conflicts in prescribing history, allergies, or adverse events. But there’s no warning telling you when you’ve been prescribed an MLB-prohibited substance. Ultimately, players should be aware of what they’re ingesting, and when in doubt, they should consult with a representative from the Players Association, a team doctor, or the Commissioner’s office. Even if furosemide is not a performance-enhancing substance, it is on the prohibited substances list. A player could obtain a TUE. Alternatively, he could simply ask his doctor for an alternate medication that isn’t on the prohibited substances list. While many questions will remain unanswered, it’s not difficult to understand the popularity of furosemide. The quick onset of action and rapid clearance time makes furosemide particularly attractive for someone who is attempting to evade detection when using a performance-enhancing substance. We can’t deny that furosemide treats medical conditions, and the JDA acknowledges its use as a therapeutic agent. But by not taking the precautionary measure of obtaining a therapeutic use exemption, Cano’s excuses fall flat. The timing of his dropping the appeal suggests he figured he wasn’t going to win, and at least could get the length of the ban effectively reduced, since much of it would cover the time when he was out with an injury, anyway. Many times, back-dated TUEs are allowed. Thanks, this is a useful addition to the discussion! Another piece I’d love to hear about is the standard of proof for the “determination that Cano intended to use the drug as a masking agent”. We know that determination was made, but was that a “preponderance of evidence” standard (like at least 51% likely), or “beyond a reasonable doubt”, or what. And what is allowed as evidence, and other process factors. Sheryl Ring, are you around for this one? WADA’s standard is between preponderance and beyond reasonable doubt. Arbiters are allowed to make their decisions based on a standard that falls somewhere between these two.